As part of a multi-institution Federal Aviation Administration study focused on unmanned aerial systems, researchers at The Ohio State University are helping quantify the dangers associated with drones sharing air space with planes. The FAA will use the research results to help develop operational and collision risk mitigation requirements for drones. ASSURE conducted its research with two different types of drones on two types of aircraft through computer modeling and physical validation testing. 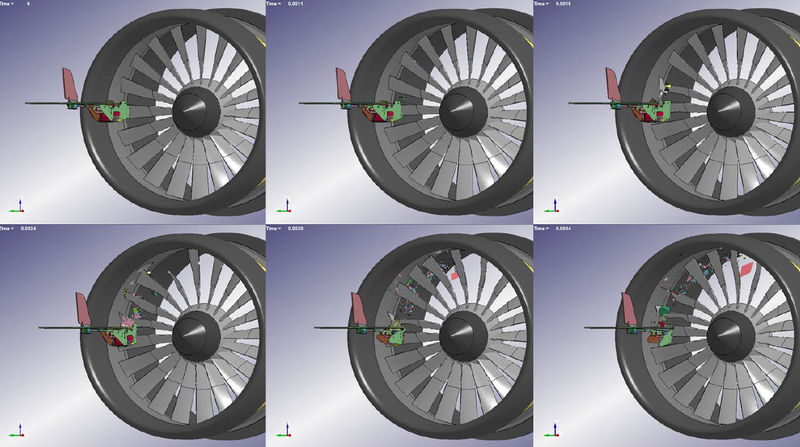 Ohio State Assistant Professor of Mechanical and Aerospace Engineering Kiran D’Souza led the engine ingestion portion of the first-of-its-kind study. Reports of close calls between drones and airliners have surged. The FAA gets more than 250 sightings a month of drones posing potential risks to planes, such as operating too close to airports. The FAA estimates that 2.3 million drones will be bought for recreational use this year, and the number is expected to rise in coming years. Led by Wichita State University’s National Institute for Aviation Research Director Gerardo Olivares, the team evaluated the potential impacts of drones weighing 2.7 to 8 pounds on a single-aisle commercial transport jet and a business jet. They examined collisions with the wing leading edge, the windshield, and the vertical and horizontal stabilizers. The windshields generally sustained the least damage and the horizontal stabilizers suffered the most serious damage. The severity levels ranged from no damage to failure of the primary structure and penetration of the drone into the airframe. Computer simulations revealed that the greatest damage and risk occurs during takeoff, since the fan is operating at the highest speed at this phase of flight. The location of the drone’s contact on the fan is a key parameter, with the most damage occurring when the impact is near the blade tip. The researchers concluded that drone manufacturers should adopt “detect and avoid” or “geo-fencing” capabilities to reduce the probability of collisions with other aircraft.Led by Mississippi State University, ASSURE was established as the FAA UAS Center of Excellence in 2015. It is comprised of 23 of the world's leading research institutions and more than a hundred leading industry/government partners. ASSURE members are core to three FAA UAS test sites, lead four FAA research centers, have seven airfields and a 340 UAS fleet.